As a do-it-yourselfer, you won’t have equipment to drill holes in concrete, pumps to force insecticide down through the holes and the things that regular professionals can do much quicker and safer. By the way, sump oil, diesel and creosote (if you still have some after all these years) are of little deterrent value. 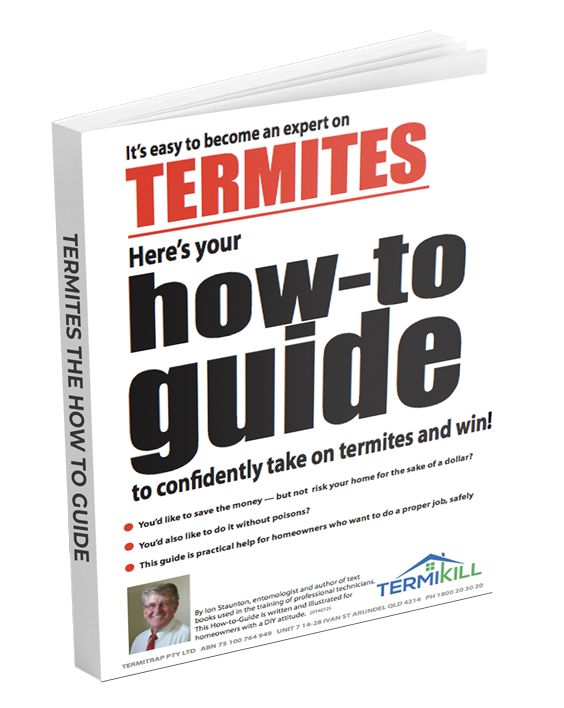 They don’t soak far into the wood and besides, termites may get in through an end and never go near the oiled surface. These oils are OK as a deterrent to fungi… for a couple of years. The value of replenishing a chemical soil barrier is open to question. Once a building is in place the original chemical begins degrading and will be ineffective after about 10 years. Applying a replacement barrier will never give you a 100% continuous line of chemical because you just can’t be sure, even by drilling holes in concrete pathways, patios, etc., that the puddles underneath the slab will all join up. 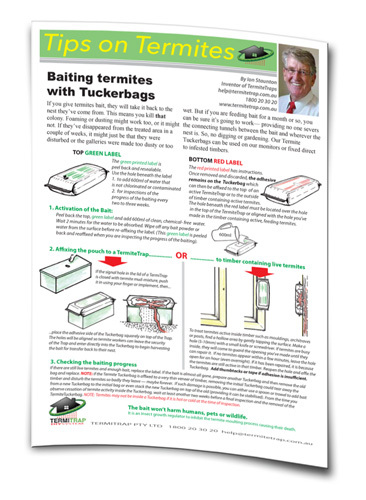 If your weepholes are close to soil level, you may want to poison the soil adjoining the outside of the slab so termites can’t come up from it onto the wall and build a short tunnel to get inside. The main chemicals homeowners can readily purchase are bifenthrin, permethrin and chlorpyrifos. 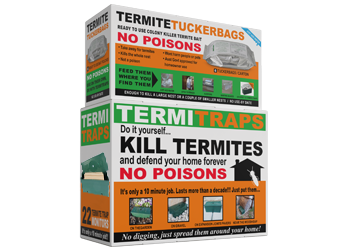 These are mentioned earlier for killing off termites in trees and mounds. You can mix up the solution and, preferably using a watering can, apply it to loosened soil adjacent to the wall so that it soaks in—the rate is on the label, but 5 litres to a lineal metre is the usual application rate. You may also decide to soak it down behind timber retaining walls, sleeper garden edges, etc. Please read the label and precautions because these are insecticides and not to be taken lightly. Once they are in the soil, there is little hazard; mixing, applying and storing the concentrate is the concern. The same insecticides can be used to make a soil barrier around the piers/stumps and the inside of the foundation walls under the building. Chlorpyrifos contains a hydrocarbon solvent that can make homeowner treatment in confined underfloor areas a much more uncomfortable, indeed more toxic exercise than using the bifenthrin or permethrin products which have little solvent smell. If the floor is so low that you cant easily take a watering can under and have enough clearance to tip the contents into the loosened soil along the foundations, you should get a professional to do it. Using a pneumatic garden pump sprayer is not recommended either. There is no way you can easily apply 5 litres of liquid per lineal metre along say 30 lineal metres (150litres) with such a pump. If you think the task is beyond you then it probably is. At which point you should call in a professional for their assessment and proposal/quote. You can post, fax or email their proposal to us if you want some clarification or comment. Include your name, phone number and a brief outline of the situation to us here.